The countdown moves into the top 30, my favorite films of 2016. I have been accused of being a bit of a film optimist by some, as I am trying to find reasons to appreciate a movie rather than seek out the opportunity to be negative towards everything. I agree with this notion and am just fine with it, to be honest. Sure, I might be more positive than others towards some particular films each year, but isn't it more fun to feel good about something you love to do than let it make you feel bad all the time? I bring this up because I truly think all 50 films on this list are pretty damn great. Some may think doing such a big list rather than the typical top 10 leads to some lackluster work making the cut, but I don't see it that way. Too much to celebrate from any given year to only pare that list down to 10. If it were up to me, Laika Studios would finally win an Oscar this year, but it isn't up to me and Zootopia is going to walk away with the trophy. Kubo and the Two Strings is an imaginative, beautiful film, one that truly does have plenty to offer for people of all ages. 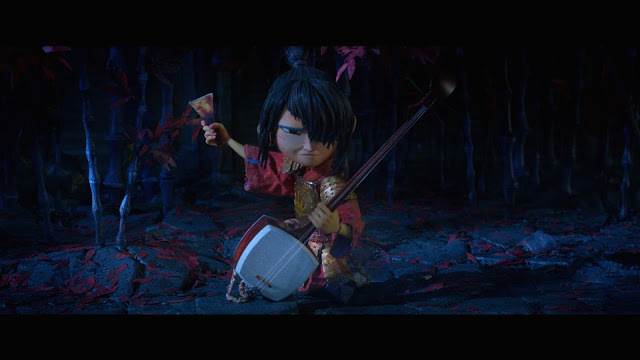 Fun animation, a somber but heartfelt story, exciting action sequences and some real, meaningful depth, the ticket sales on Kubo paled in comparison to many other pieces of animation in 2016 and it's a shame. Make sure to see Kubo. The Oscar nominated documentary Life, Animated is worthy of the recognition, a film about a young boy with autism who completely lacks the ability to communicate with his family until one day they discover he finds something to say while watching Disney animated films. The family must adjust and use this knowledge, through voices and puppets of Disney characters, to be able to talk to their son. The film takes you on quite the journey, a great documentary safe to watch with the whole family. 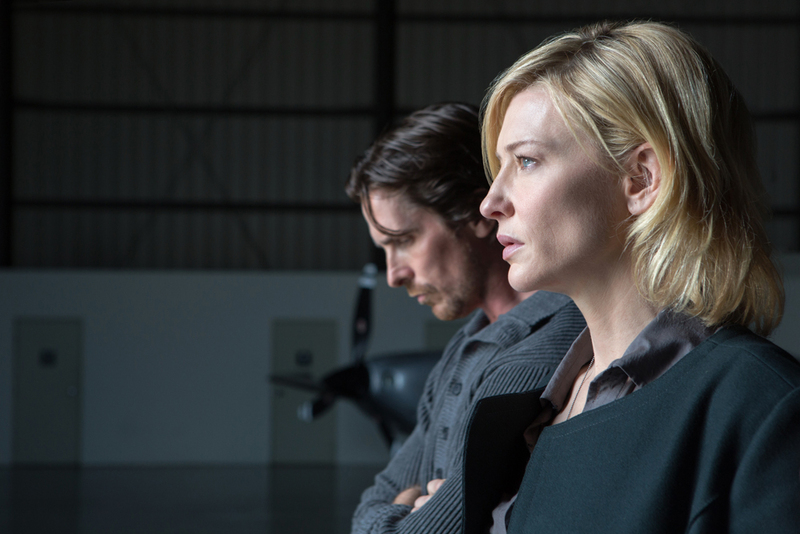 Listen, a LOT of people would watch Knight of Cups, or any recent Terrence Malick feature for that matter, and absolutely hate it. My favorite film of all time is his The Tree of Life and I have received about equal parts feedback of either agreeing it is a masterpiece and asking me how the hell I could love it. A lot of people point out that they couldn't even finish it, and you might be surprised to hear neither could I. Not the first time. You have to know what to expect from Malick and look inside yourself as you watch to find what it means to you, because the meaning of what is taking place on the screen will definitely not be clear. Knight of Cups is no The Tree of Life, but it is another film made with passion, a story that clearly means a lot to Malick personally and that resonated with me. Labeled by director Richard Linklater as a "spiritual sequel" to his classic Dazed and Confused, Everybody Wants Some!! is a blast of fun, a comedy about college baseball players during the 1980's, more specifically about one phenom High School pitcher showing up at college as a Freshman. 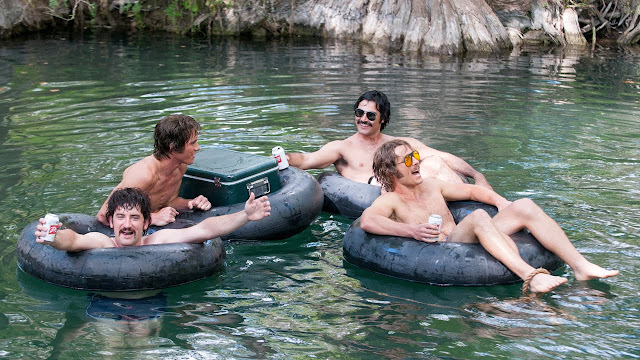 This film does feel a lot like Dazed and Confused stylistically and has some sneaky under the radar depth to it, which is not surprising for Linklater. 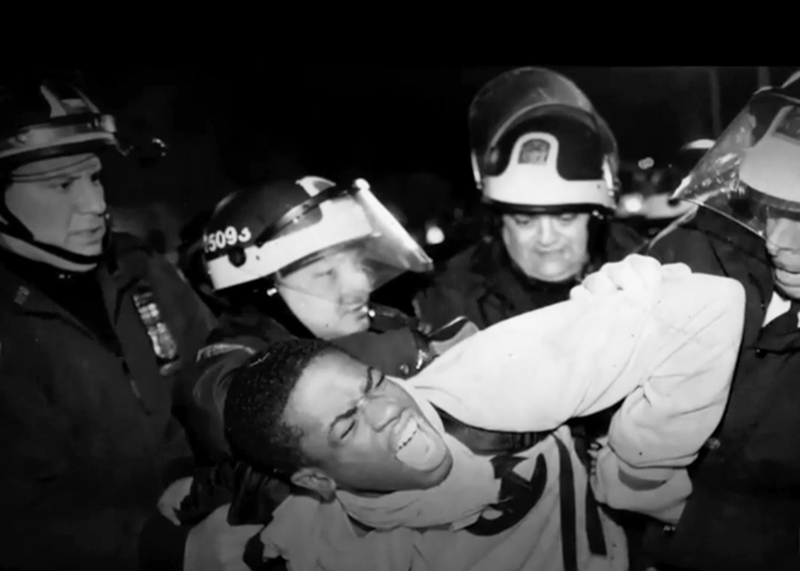 A documentary that needed to be made, director Ava DuVernay not only explores racial inequality throughout history in America but more specifically the way the for profit prison system has become an extension of slavery itself. 13th is outstanding and worthy of its Oscar nomination, and if it weren't up against an award season juggernaut that is still to come on my list, it might be a front runner. A black and white minimalist gem that is streaming on Netflix right now, and you should go watch it. Blue Jay is a film driven by its performances and Mark Duplass (who also wrote the film) and Sarah Paulson bring their A game here. The movie tells the story of two former high school sweethearts who haven't kept in touch over the past 20 years only to be randomly reunited when they run into each other at the grocery store. It's short, it's sweet, it's heartwarming, it's heartbreaking. Blue Jay is a hell of a film. Totally bizarre, yet kinda brilliant? Some will disagree with that second part, but the first part is basically a fact. 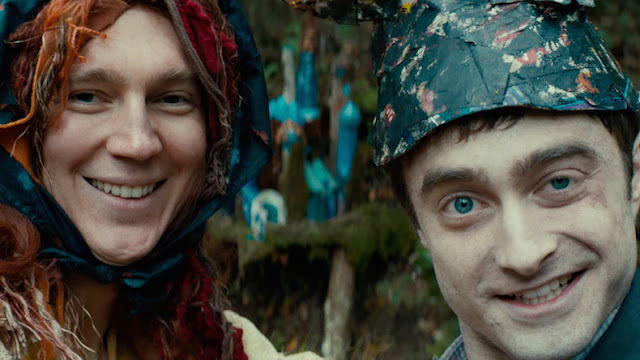 Swiss Army Man is a strange movie, but I fell in love with the way it subverted expectations by taking such low brow humor and making it feel high brow, with directors Daniel Kwan and Daniel Scheinert making something profound and beautiful out of what sounds juvenile on paper. 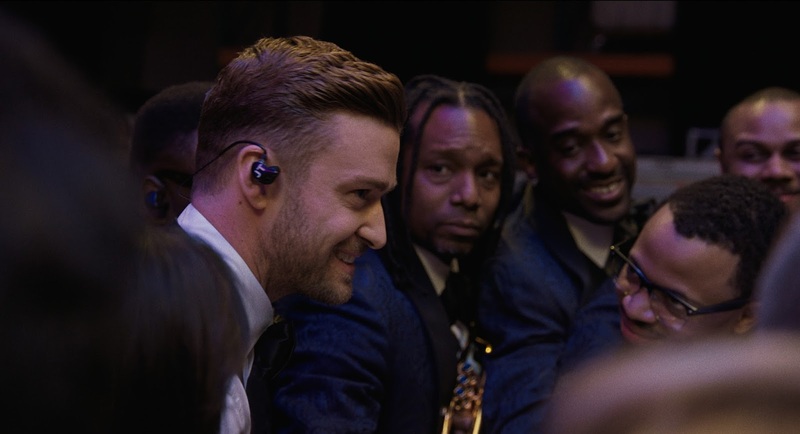 A concert film masterpiece, Justin Timberlake + The Tennessee Kids features a lot more than just the music of Timberlake (although that can be pretty great too). It's directed and filmed with the eye of an artist, and the person responsible is Jonathan Demme, best known for The Silence of the Lambs. If you have reservations that a 90 minute concert is worthy of belonging in the top 25 films of the year, trust me, I didn't expect it either. It's a Netflix Original so go stream it now and see for yourself. It's top notch, glorious entertainment. For the foreseeable future, if I am invited to join a group of friends for dinner at one of their homes, I will at least briefly consider the possibility that I am walking into a situation like the one that takes place in The Invitation before deciding that is likely silly. It's chilling stuff, a patient slow burn that pays off big time in the end. Another one available to stream on Netflix right now, don't miss this one. 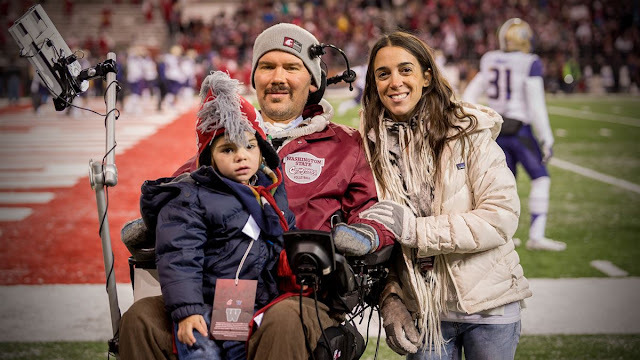 One of the more moving films from 2016 is the documentary Gleason chronically a 5 year period in the life of former NFL player Steve Gleason whom, after being diagnosed with ALS shortly after learning he was going to be a father for the first time, decided to make a video diary of his life and battle with his illness in case he isn't able to communicate with his son down the road. I can't express just how shaken I was emotionally watching this, easily the most cinema induced tears I have shed in a while. Streaming now on Amazon Prime, Gleason is occasionally a hard watch but it's also an inspiring one.